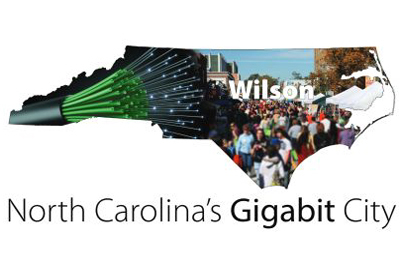 The city of Wilson prides itself on being North Carolina’s first gigabit city, offering businesses and residents broadband services with speeds 100 times faster than what’s offered elsewhere in the state. That service has enabled this former tobacco and textile hub to resurrect itself as a next generation city, luring new businesses in search of the high speed and capacity connectivity needed to compete in a digital economy. Exodus FX, for example – a company that does visual effects for Hollywood movies and productions – moved from Los Angeles to Wilson because of the city’s broadband capabilities. “They wanted to find a community on the east coast with a broadband infrastructure that would enable them to efficiently share the content that they created with customers all across the globe,” Aycock said. Wilson filled that need, as the company highlights on its website. 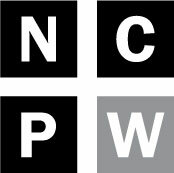 But in a case being closely watched by municipalities and telecom companies alike, the city’s continued ability to grow its broadband network is on the line, with three federal appeals court judges in Cincinnati considering this morning whether the Federal Communications Commission can step in and block state laws like those in North Carolina that restrict such expansion. It’s a case with broad implications for cities and other public-private partnerships wishing to enter the broadband market in close to half the states across the country, with a ruling by the Sixth Circuit panel that might just land in the U.S. Supreme Court. After Wilson built a fiber optic network linking city facilities in 2005, residents and businesses unhappy with the connectivity offered by existing providers like Time Warner Cable and Embarq began asking for access to the city’s network. Those providers had no interest in working with the city to expand service to those residents, Wilson has said in court filings. With the approval of the state, the city then moved ahead on its own and expanded its network in 2008, ultimately offering high-speed broadband services to residential and business customers through Greenlight. Interest in Greenlight’s services grew beyond Wilson’s limits, with cities in the other five counties where Wilson also provides electricity asking to connect to its broadband network. As Wilson was building out its fiber-to-home network, political and industry winds were shifting in Raleigh. The state had had a long history of bipartisan and telecom cooperation when it came to expanding connectivity, according to Jane Smith Patterson, who has worked on broadband issues since the administrations of Gov. Jim Hunt. That cooperation led to the development of one of the most envied linked schools network in the country. But as industry competition increased, lobbyists pressured state lawmakers to reign in municipal broadband expansion. Acting under the guise of protecting taxpayers from financial risks allegedly associated with city-run broadband networks, lawmakers began in 2007 pushing for the passage of “level the playing field” laws, modeled after legislation drafted by the conservative American Legislative Exchange Council (ALEC). The law doesn’t prohibit cities from providing broadband services under that law, but it does impose restrictions that make it difficult if not impossible for them to enter the market – limiting for example the amount of debt a city can incur to build out a broadband network. Wilson was grandfathered in to the extent it could continue providing broadband service within its county limits, but it could not expand that to the other five counties where it provided electricity. Faced with growing evidence of geographic areas underserved by broadband and concerned about the effect restrictive access laws passed in 20 states, including North Carolina, were having on expansion, FCC chairman Tom Wheeler began talking openly in 2014 about the Commission’s role in bringing about change. I understand that, like any venture, community broadband there hasn’t always been a success. But a review of the record shows far more successes than failures. If the people, acting through their elected local governments, want to pursue competitive community broadband, they shouldn’t be stopped by state laws promoted by cable and telephone companies that don’t want that competition. Wheeler echoed those remarks over the next several months and indicated that the Commission might consider blocking state laws that stifled competition in the broadband area. Wilson and Chattanooga took Wheeler up on that suggestion, each filing petitions with the Commission in 2014 for a ruling striking down their respective state laws, and in February 2015, the Commission did just that. The FCC ruled that it had the authority to preempt state laws that conflicted with its stated policy of expanding broadband access, and found that the North Carolina and Tennessee laws restricted such access. Tennessee and North Carolina then appealed those rulings to their federal appeals courts — the Sixth and Fourth Circuits respectively — and because the appeals raise the same issues and Tennessee filed first, the appeals are being heard together in Tennessee’s appeals court in Cincinnati. The main question before the three judges (all Republican appointees) this morning is whether the FCC had the authority to preempt the state laws at issue. The states argue that the FCC improperly interfered with their sovereign rights to regulate political subdivisions. “North Carolina has absolute discretion over the structure and maintenance of the cities within its borders, and the powers and authorities of such cities may be enlarged, abridged or withdrawn entirely by the General Assembly,” Attorney General Roy Cooper wrote in North Carolina’s brief on appeal. But the FCC says it acted well within its authority to preempt state laws that regulate interstate communications competition, even if those laws affect only municipal providers. Since the FCC decision, Wilson has expanded its Greenlight service – now provided to 8,000 Wilson customers — to the town of Pine Tops, but the city has no further immediate plans. But municipalities from as far away as New Zealand have consulted Greenlight about what’s been done in Wilson, recognizing the importance of expanding their digital reach. “It’s becoming evident across society that broadband is critical infrastructure, and most communities have an interest in having some type of strategy for making sure that next generation services are delivered to their citizens,” Greenlight’s Aycock said. That’s a sentiment echoed by Jane Patterson, who said that the goal should be getting the service to the citizenry, regardless of who the provider may be. In that vein, broadband service is now a critical need — akin to what electricity and telephone services have longed been deemed – and its widespread expansion should be a shared common goal, according to Chris Mitchell of the Institute for Local Self-Reliance. The cases being heard before the 6th U.S. Circuit Court of Appeals this morning are Tennessee v. FCC, 15-3291 and North Carolina v. FCC, 15-3555.